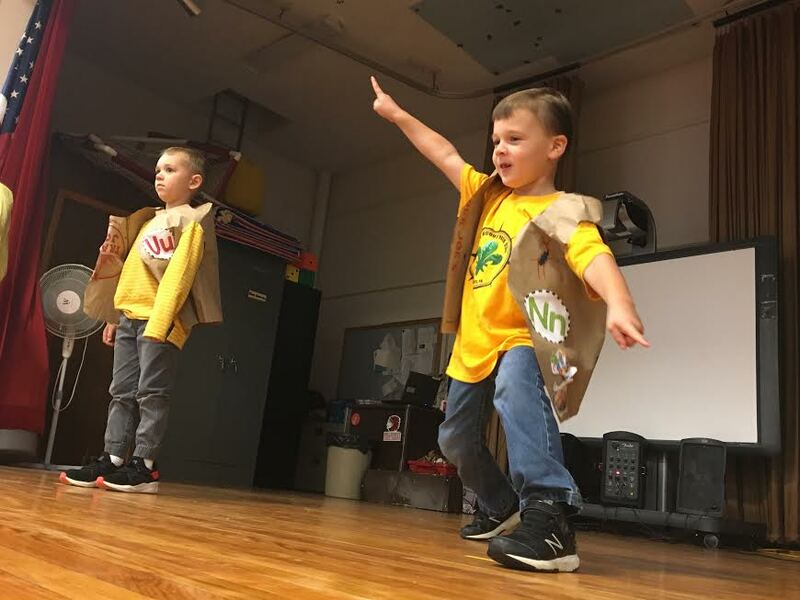 After a 26-day lesson focused on thoroughly learning the alphabet, students in Heather Snedden and Kimberly Rosenberger’s kindergarten classes at Benner Elementary School held an alphabet fashion show to prove just how well they know their letters. Clad in paper vests, each student was assigned a letter that he or she was required to decorate their vest in. For each lettered vest, students drew or pasted things that represented the letter they were assigned. They then turned the stage into the catwalk and strutted around to the instrumental music of Madonna’s “Vogue” showing their vests and ending with a pose. The event was emceed by Rosenberger as she described what each student was wearing.